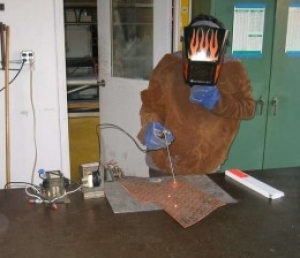 Homemade stick welder constructed from microwave oven components. Utillizes two microwave oven transformers. Secondaries are rewound to increase output.